If you’re thinking about cord blood banking, there are many pros and cons. It’s not a decision to be taken lightly. When successful, cord blood banking has proven extremely beneficial. 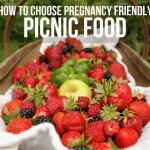 However, there’s no guarantee you’ll see benefits from your investment and there are health risks to the newborn because you won’t be able to delay cord clamping. There is an estimated 800,000 cord blood samples in public banks and more than 5 million stored in private banks. So clearly, many people have chosen to bank their baby’s cord blood. There’s no denying that cord blood can save lives, but cord blood banking may not be the right decision for you and your family. 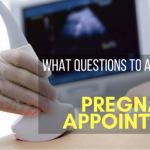 Read on to find out why. Public cord banking is a great alternative for those who would love to support the cause. Public cord blood banking is available to anyone worldwide and is free of cost. If your newborn’s brother or sister has a condition treatable by cord blood there is an option for you to urgently store the cord blood free of cost. Public banks such as Texas Cord Blood Bank covers transplants for siblings only. If you decided to donate cord blood, it is highly unlikely the blood would be available for you or a close relative later on in life. If cord blood is ever needed in the future you would have to pay for a donation made by another (compatible) donor. Private cord blood banking companies provide you and your family the assurance that your child’s cord blood will be contained safely and securely until needed. Private cord banking is provided by an accredited family company that contains your child’s blood as long as you are able to pay the fees. There are currently 25+ AABB certified private banks available. Also, private banks such as FamilyCord offers free cord blood storage for up to a year in which a sibling or biological parent is eligible to receive the transplant. Cord blood banks are very expensive. Family private cord blood bank companies charge between $1,300 – $3,000 plus an annual fee of about $90 – $175. As an example, Cord Blood Registry requires a one-time payment of $1,650. After the first year, they charge an annual fee of $150/year. Viacord’s starting price is $1,750 for the first year and a $175 annual fee. In many situations, you lose the investment made on storing the cord blood if you never use it. The private bank will simply throw out the cord blood if you decide to no longer have it stored. Your baby’s umbilical cord blood has the power to heal life-threatening diseases such as leukemia, lymphomas, and sickle cell anemia. The stem cells in the baby’s blood are immature cells that can reproduce themselves as well as provide the potential to turn into other types of cells, thereby eliminating the disease itself. This procedure has a high success rate and every single one of us has a donor we could match with. If there is a hereditary illness in your immediate family, it would be beneficial to invest in storing the blood. Luckily for parents who are investing in their baby’s cord blood, it is tax deductible. Collecting the cord blood is a noninvasive procedure, which is a good thing since it takes place during such an important event in a new mother’s (and baby’s) life. 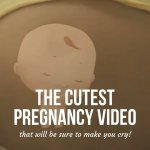 Once the baby is born, the blood is extracted from the umbilical cord and stored. It will either be picked up by the privately owned blood bank or donated to a local hospital. The most reassuring part is that the doctor is 100% responsible for the task at hand and is trained to do so efficiently. A major concern is the uncertainty of the cord blood being stored properly and whether or not it will be worth the money. If a family is looking to store their baby’s blood, there is a high possibility that the blood won’t be a match for the occurring condition. In that event, the family would have to seek out a donor for a disease that is not successfully treatable by their stored cord blood. Unfortunately for these families, they are investing in a possibility. Many believe this is unethical. For example, your child could develop a genetic medical condition for which the blood stored would no longer be useful. In these types of cases, families who paid to store cord blood were at a major disadvantage. Once their child developed an immune deficiency disease, they had to pay out of pocket for donated cord blood on top of the fees they paid storing the cord blood they can’t even use. Donating or storing your newborn’s cord blood means your baby misses out on the immense health benefits of delayed cord clamping. Storing the cord blood means your newborn only gets part of their blood supply and misses out on oxygen-rich blood. This is a huge risk and must be definitely thought out before making the decision. Leaving the umbilical cord on for 1 minute is proven to increase hemoglobin levels and improves iron levels in the first several months of life. 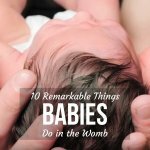 This helps tremendously in the transition for your little one to breathe. The long-term effects of delayed cord clamping protect your baby from jaundice and iron deficiency anemia well into adolescence. Iron deficiency can result in lower immunity, lower intelligence, and poor gross motor development. Unfortunately, delayed cord clamping is not compatible with banking your little one’s cord blood because the success of the treatment heavily relies on the volume of the blood infused with the stem cells. The more blood the greater the chance at a successful outcome. 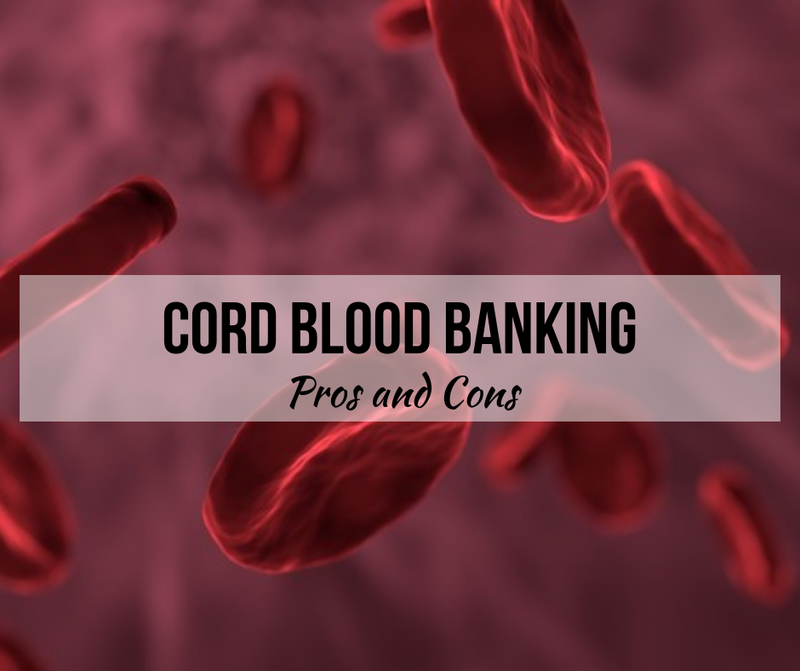 Now that you know the cord blood banking pros and cons, there really isn’t a right or wrong thing to do. The question is simply – What’s right for your family? Reputable websites and testimonials are your saving grace if you’re on the fence for investing or even donating. Would you make cord blood banking part of your birth plan? Why or why not? Please share your comments below.